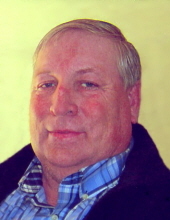 Michael ‘Mike’ Sawyer, age 59 of Boone, died suddenly at his home on July 5, 2018. Following his wishes, Mike has been cremated. A Memorial Funeral Mass will be Thursday, July 12, 2018, at 10:30 a.m. at the Church of the Sacred Heart in Boone, with Rev. Brian Hughes officiating. Michael John Sawyer, was born in Boone, Iowa on June 5, 1959, the son of John and Charlotte (Judge) Sawyer. He graduated from Boone High School in 1977 and attended classes at DMACC in Ankeny. On September 9, 1978, Michael married Doreen Wilcox in Boone, Iowa. In earlier years, Mike worked at Boone County Tire in Boone for 13 years. Since 1990, Mike has been employed for Boone County as a maintainer operator for the secondary roads. Mike loved fishing and going to garage sales. He enjoyed working as a handyman and mechanic for family and friends. Mike taught yearly, youth ice and spring fishing clinics at Don Williams Lake for the Boone County Conservation Commission and the Boone County I.S.U Extension Office. He is preceded in death by his father, John Sawyer, and a nephew, Brooks Sawyer. Mike is survived by his wife, Doreen of Boone; three sons, Todd (Cara) Sawyer of Burlington, Nicholas Sawyer of Boone, and Blake Sawyer and companion, Sarah Ray of Perry; his mother, Charlotte Sawyer of Boone; a sister, Patricia (Erik) Miles of Cedar Rapids; three brothers, Thomas Sawyer of Boone, James Sawyer of Mountain Home, Arkansas, and Joseph (Danitza) Sawyer of Patten, Maine, six grandchildren, Gage, Vance, Treva, Mya, Cru, and Joanna Sawyer; Mike’s buddy and companion, his dog, Lucky; his mother-in law and father-in-law, Barbara and Duane Wilcox of Boone; several nieces, nephews, aunts and uncles. Friends may call at the Schroeder-Reimers Memorial Chapel at Sixth and Marshall, on Wednesday from 3 until 8 p.m. where the family will be present from 6 until 8 p.m. and a Vigil Service will be at 7 p.m.
On Thursday morning, friends may call at the funeral chapel from 8 until 10 a.m. In memory of Mike, memorials may be directed to the family. To send flowers or a remembrance gift to the family of Michael 'Mike' Sawyer, please visit our Tribute Store. The family will be present from 6 to 8 pm. There will be a Vigil Service at 7 pm. "Email Address" would like to share the life celebration of Michael 'Mike' Sawyer. Click on the "link" to go to share a favorite memory or leave a condolence message for the family.